“Incomplete combustion” is happening all across Canada and around the world in homes and workplaces every single day. The world as we know it relies on combustion to keep going. In this post, learn what you need to know to make sure the combustion happening in your home or workspace is safe (complete) and non-toxic. At its simplest, combustion is what happens when we burn a fuel. To generate combustion, there must be a heat source, a fuel type and an oxidant (oxygen). When a heat source plus oxygen and fuel interact, the result is also heat, along with trace amounts of carbon dioxide and water. Common fuel types include wax, wood, oil, gas, kerosene, propane and coal. Tobacco is another common fuel type. Combustion is pretty great when we want to heat our homes or offices, cook something or drive our car. But it isn't so great when it doesn't work properly and produces toxic airborne waste. What Does Incomplete Combustion Produce? Complete combustion fully oxidizes the fuel and produces the maximum possible amount of heat energy. Incomplete combustion, on the other hand, produces both heat energy and other byproducts that are both unhealthy and unsafe. Incomplete combustion happens for one of two reasons: there isn’t enough oxygen to fully oxidize the fuel or the initial heat source isn’t hot enough to fully consume the fuel. When this occurs, both gaseous compounds and particulate matter are produced, which are unsafe and unhealthy. Some of them can be fatal. These are the most concerning byproducts that are produced when combustion is not complete. Carbon dioxide, or CO2, is the least concerning of these byproducts. Carbon dioxide at high levels can cause fatigue, headaches, dizziness and similar health symptoms. When air is described as “stale,” this often means there is a high ratio of carbon dioxide to oxygen present. CO, or carbon monoxide, is the most concerning of these byproducts. Nicknamed the “silent killer,” carbon monoxide is odourless and colourless - impossible to detect without a carbon monoxide alarm system. At low levels, CO can cause fatigue, headaches, dizziness, nausea, mental confusion, vision problems and symptoms similar to the flu. 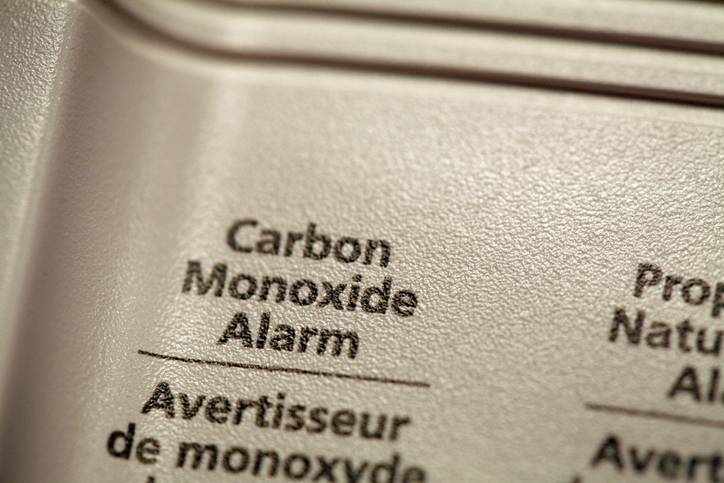 At high levels, carbon monoxide can be fatal. Nitrogen dioxide, or NO2, is a byproduct that is particularly concerning if you have chronic respiratory or breathing issues, such as asthma. Symptoms include irritation and inflammation in the eyes, nose, throat and lungs, and shortness of breath. Particulate matter (PM), or soot, is composed of small floating particles that readily enter your eyes, nose and mouth, causing irritation and inflammation down into the lungs and the heart. Some PMs can cause cancer. All kinds of issues can contribute to incomplete combustion in household or workplace appliances. All too often, the reason an appliance begins to operate inefficiently is due to neglected preventative maintenance. Over time, buildup of dirt, debris, scale, soot, rust and other residue can impact the interaction between the heat source and the oxidant. Blocked vents, flues, shutters or registers can prevent adequate oxygen from reaching the fuel source. Malfunctioning pilot lights or ignition switches, compromised electrical wiring or heat exchangers and improper gas pressure can each contribute temperature troubles with the heat source. Preventative maintenance service includes a safety inspection and basic cleaning that can address combustion issues ranging from dirt and debris to blockages and leaks, quickly correcting the combustion process so it once again works as designed. NOTE: Our sister company, Shipton’s Heating & Cooling, specializes in correcting combustion issues in a wide range of residential and commercial appliances. While an annual safety inspection and preventative maintenance service can restore combustion processes to their normal function, this service alone cannot address the byproducts now residing in your indoor air supply. The Environmental Protection Agency recently released a concerning report stating that our indoor air is now up to five times more toxic than the air outside. One major reason for this increase in indoor air toxicity is airtight construction. Without any natural leaks or cracks for indoor air toxins to escape, airborne toxins stay put and slowly build up inside our homes and workplaces. This is why Ontario now requires new construction in the GTA to include the installation of a heat recovery ventilator to provide ventilation using mechanical processes. Heat recovery ventilators are fantastic in airtight spaces - they can refresh and oxygenate your indoor air and help with seasonal humidity balancing. But they still can’t clean out toxins from your air supply. For this, you need a specialized air cleaner. The two most popular indoor air cleaners are the ultraviolet air purifier and the HEPA filter. An ultraviolet air purifier works to change the chemical composition of airborne toxins so they cannot harm you. UV air purifiers are especially effective against gaseous particles. A HEPA (high-efficiency particulate air) filter works to trap airborne particulates and soot and remove them permanently from your indoor air supply. HEPA filters can remove particulates as small as 1/100th the size of a single human hair. We always recommend scheduling a professional air duct cleaning service as a part of comprehensive indoor air cleaning to remove particulates trapped in your ducts. Through April 31, 2019, save 10 percent on duct cleaning! How Does an Ultraviolet Air Purifier Clean Your Air? Your lungs can hold about three large soda bottles of air at any given time - about 6 liters. At an estimated 12 breaths per 60 seconds, you breathe approximately 1,140 times per day. It might sound simple enough: you breathe in, breathe out, repeat as needed. Then you go on with your day. But your lungs have a much bigger job description! They have to take in that air, process it, send oxygen out to all the areas in your body where it is needed, receive waste products (chiefly carbon dioxide), exhale those out and then start the whole process all over again. All that to say: how pure or impure your air supply is really matters. The cleaner and more oxygenated your air supply is, the easier it is for your lungs to do their job and the stronger and healthier you will be. But with today’s indoor air getting more toxic, finding clean, pure, oxygenated air to breathe is a lot harder than it sounds. This is where an ultraviolet air purifier can really lend your lungs a helping hand! The EPA’s recent report on the environment delivered some shocking news - on average, indoor air is two to five times more toxic than the air just outside. This is not good news for your lungs or health. It is even worse news once you factor in that the average Canadian reports spending as little as five minutes per day outdoors. This means that, of the 1,440 minutes you spend breathing in and out in the typical day, 1,435 of those minutes are spent breathing indoor air. This makes cleaning up your indoor air supply an urgent health matter! For anyone who suffers from allergies, asthma, respiratory infections or lung disease, the situation becomes even more critical. Why Is Indoor Air MORE Toxic? After so many years spent worrying about the quality of our outdoor air, it can be shocking to learn that the air outside is actually safer to breathe in many cases. But why is this the case? What has happened to shift air toxicity to this degree? The answer to this question is simple and well-documented. Along with growing concerns about dwindling natural resources, which has prompted efforts to conserve the fossil fuels required to provide power for today’s homes and workplaces, the construction industry has responded with new, advanced airtight construction techniques. These techniques seal up every natural crack or crevice that might let indoor air slip out or outdoor air slip in. Today’s new-built homes and workplaces offer almost no natural ventilation to recycle indoor air. As well, humans are using more toxic chemicals indoors than ever before. So what you have is a whole lot of trapped airborne chemicals that can’t get out. As a result, the indoor air gets stale, heavy with toxins and depleted of oxygen. And you are right, to a point. Better ventilation is needed to do artificially what used to take place naturally inside homes and offices. Ventilation can also help to some degree to move airborne toxins back outdoors and draw in new, fresh, oxygen-rich air. Unfortunately, it can’t do the whole job by itself. Ventilation’s primary job is to move stale air out and fresh air in, just as your lungs exhale carbon dioxide and inhale oxygen. A good heat recovery ventilation system can even boost your HVAC system’s energy efficiency, lower your monthly utility bills and help balance the humidity in your indoor air. But ventilation can’t do anything about toxins that have already found their way into your home and have become lodged in your air ducts, where they are sent back out through the exhaust vents. 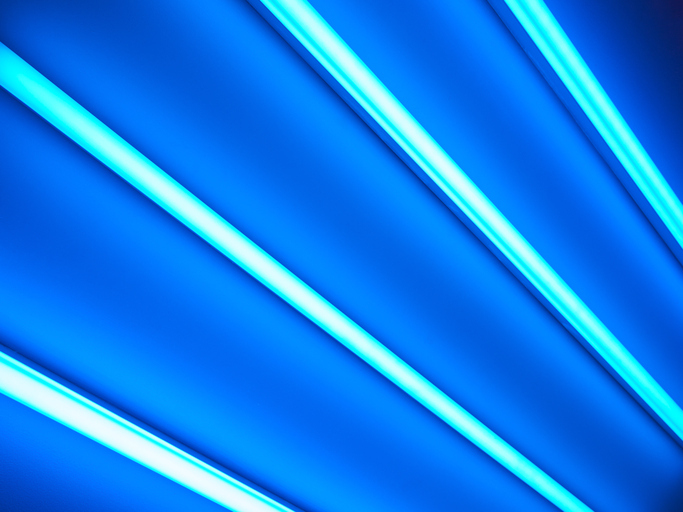 Ultraviolet light has gotten a pretty bad rap over the decades as the cause for sunburns and skin cancer. But ultraviolet, or UV, light can do many beneficial things, too, including purify the air we breathe. At its simplest, UV light is a form of electromagnetic radiation that has the power to change the composition of living organisms, including bacteria, viruses and mould. The process UV light uses to do this is called “ionization.” When UV light hits living matter, ionization separates electrons from atoms, changing the chemical structure of the matter. When UV light ionizes airborne toxins, it neutralizes their potential to harm you. Our sun produces three UV light bands: UV-A, UV-B and UV-C. Of these three, UV-C is the most powerful, but the protective layer of ozone surrounding our planet shields us from this light band. An ultraviolet air purifier is basically very focused UV-C light that continuously scans the air in your home or workplace for airborne toxins. When it finds living matter such as gaseous compounds, viruses, bacteria, mould or mildew, it changes their chemical composition and neutralizes their toxicity. Put simply, UV air purification strips toxins right out of your indoor air supply, leaving behind safe, pure, breathable air. Ventilation + UV Purification = Safe, Clean, Breathable Indoor Air! Are you ready to feel better, sleep better and wake up feeling rested, refreshed and ready to do your best work and really enjoy your life? Discover the difference the potent team of ventilation plus ultraviolet air purification can make in your family’s health. Get a jump-start on indoor air quality by saving 10 percent on any indoor air duct cleaning service! Are Seasonal Allergies Stealing Your Spring Joy? You Need This Now! To hear allergy experts tell it, spring is hands-down the worst season here in Canada if you suffer from allergies. Spring allergies get worse every year and they start earlier each year. If you are currently sneezing, sniffling, itching, congested, foggy-headed or sleep-deprived—and you don’t have a virus—then it is a good bet you have spring allergies. In fact, allergists estimated that around 30 percent of Canadians suffer annually from springtime allergy symptoms. But far fewer realize it, thinking perhaps they’ve just caught a late flu bug or a spring cold. But the symptoms linger and fail to respond to all the things you try to get rid of it. In this post, we explain how and when spring allergies begin, which pollen is most problematic and what to do to take back your health, starting today. Trees start to produce pollen in early spring. Among the worst (but certainly not the only) offenders are maple, willow, birch, ash, pine and oak. This process can start as early as March and continue through May. But just when you think you might be off the hook for allergy symptoms, June arrives and the grass pollens gear up to release their bumper crop of allergens. Late summer is high season for mould and mildew production, since there are both heat and humidity to spare and spores are busy feasting on decaying, rotting organic matter in preparation for fall. Starting around August, you have ragweed season to look forward to. Ragweed, which is especially prevalent throughout Ontario, is an opportunistic weed that can grow pretty much anywhere, including in congested, concretized urban communities. What Happens When You Breathe In Pollen? 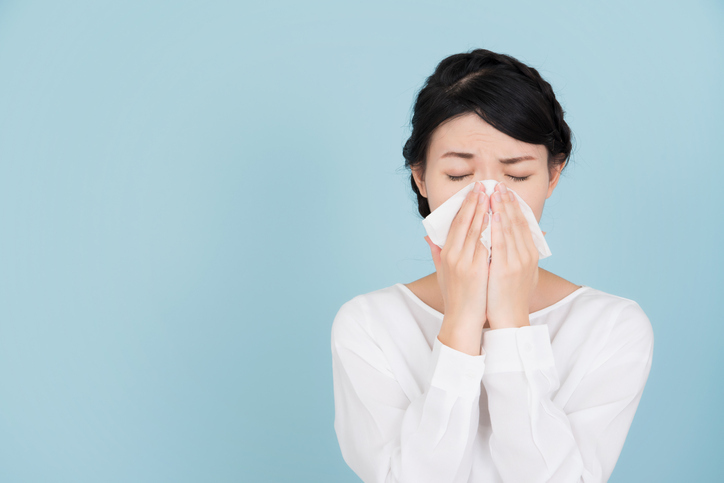 While it can be hard to remember this in the midst of an allergy attack, the unpleasant symptoms of spring allergies actually represent your immune system’s attempts to repel the unwanted invaders. Your body sends out tiny warriors called “histamines” to fight off the allergens, and their battle for dominance produces your watering eyes, runny nose, sneezing, sore throat and fatigue. When your symptoms subside and you finally start to feel better, that is how you know the histamines have won. How Can Air Quality (Or Lack Thereof) Impact Your Allergy Symptoms? Over the last decade or two, there has been widespread study and scrutiny of outdoor air quality. Concern over carbon emissions, volatile organic compounds, a weakening ozone layer and other toxic exposures has been slowly overhauling how our society relates to energy use, fuel selection and lifestyle choices. But insufficient attention has been devoted to the quality of our indoor air until just the last few years. The truth is, the typical Canadian adult may spend less than five minutes each day outside—about the time it takes to park the car and walk inside the office or house. The rest of that time is spent indoors, breathing indoor air. This wouldn’t be so concerning except that recently, the U.S. Environmental Protection Agency released a startling report stating that in North America, indoor air is anywhere from two to five times more toxic than outdoor air. While there is still some controversy over whether air pollution itself can directly trigger allergy symptoms, there is no doubt it can worsen symptoms for allergy sufferers. This is especially the case for vulnerable individuals, including those with compromised immune system function, the very young and the elderly. Even if you practice very judicious landscaping, there is no way to prevent airborne pollen—from neighboring trees, grasses and weeds—from blowing over into your individual airspace. This can feel very discouraging if you suffer from allergies and feel like the symptoms are stealing your life away! But there is hope in the midst of continual pollen, especially if you, like most adults, spend the majority of your time indoors each day. Whereas you can exercise only a marginal amount of control over what goes on outside, you can exert nearly total control over what comes inside with you and enters your indoor air supply. There are three specific ways you can quickly begin to clean, filter and purify your indoor air to remove triggering allergens and pollen, and support your immune system to deliver speedy healing. The first tool you have at your disposal for cleaning up your indoor air in a hurry is our signature service: the professional indoor air duct cleaning. Your air ducts are prime real estate for pollen, mould and mildew spores, dust and dust mites, pet dander and other potent allergens that can weaken your immune system and trigger allergy symptoms. By clearing out all of that trapped debris and sanitizing your entire air duct system, you essentially hit the “reset” button on your indoor air quality. Many of our customers tell us their indoor air is so clean following this service they can literally smell the difference! Ultraviolet air purification technology uses ultraviolet light band-C, the most powerful of the three UV light bands. UV light changes the molecular structure of airborne toxins to neutralize their impact. Both portable (room-sized) and central (whole home) UV air purifiers are available. HEPA stands for high efficiency particulate air. This filtration system was developed during World War II to protect scientists from radiation as they made the atomic bomb. It is still the gold standard in hospitals and laboratories, where air quality is paramount. Both portable (room-sized) and central (whole home) HEPA air filtration systems are available. This April, save 10 percent on any of our duct cleaning packages!